If you are looking for a MOBA/RTS hybrid, then this might be the game for you. 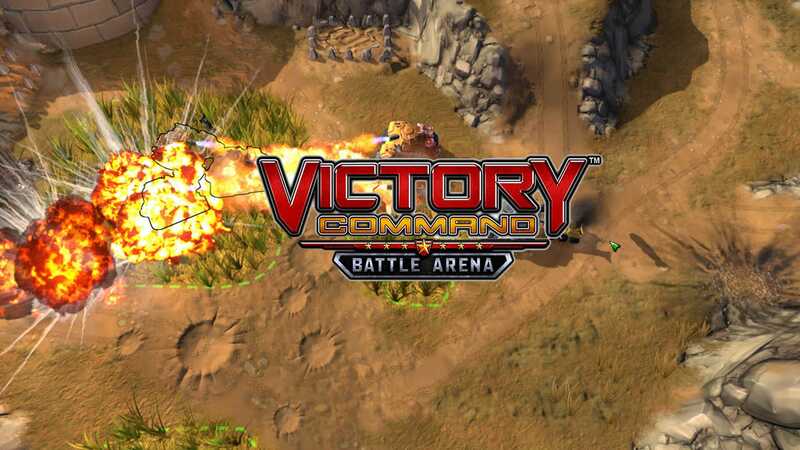 It’s been a while since we relived the good ol’ days of Command and Conquer and other RTS games that still give us that strategic feeling in every aspect. Well, Victory Command did hear some of our requests and even added a little bit of twist to it. On May 19th Petroglyph developed a game which was later than published by PlayGrid Games. Even though this game had its ups and down before, but it came back with a whole new look, with unique gameplay unlike any other. Moving forward, the developer is pretty much transparent with players and even asked most of them for feedbacks since the game was still in progress. When you start the game they don’t have any tutorials, and you just have to trust your inner gamer intuition to lead you or better yet watch the video tutorials which are available on their official site. VC offers just one battle mode, and you get to only choose 3 companies to start off. Tanks, Light tanks and Infantry, which is not a bad idea if you ask me. This is more of a rock, paper, and scissors: Tanks defeat light tanks, light tanks defeat infantry, then infantry defeat tanks. That’s it. As long as you know your weakness and how to avoid and counter it, it shouldn’t be hard to win a match. Well, you might include teamwork on the list too. You can equip your companies with necessary perks and drones when you start the game. Perks are given in the startup screen and when you gather enough XP points and money you can unlock some of them. They can be an upgrade for your tanks or infantries, adding attack bonus, or health regeneration. They also have particular skills per company, so use it wisely and effectively. For the drones, you can equip them on the matchmaking phase. There are 5 types of drones and these are Speed, Anti-Vision, Spying, Purge Drone and Counter Drone. Controls are easy, if you have played RTS games before then this should be easy for you, even for newbies. You can group up or selecting just a number of units or can be just a solo unit for sneak attacks or even capturing a victory region undetected. Of course, you can then assign a number for every group so you can still monitor their progress around the map. They have different maps but it’s random, one thing I love about the battlefield itself is it’s flexible in every way. You can utilize the brushes, higher ground areas or the infantry-only paths. You can explore depots and safe zone beside the actual goal itself. You never run out of things to take advantage of, but how do you win this game? Technically, there are just 3 main objectives to win a game: You can capture 2 or more Victory Regions or you can eliminate all your opponents or reach 250 points before your opponents do. If the allotted 20 minutes is over and both of you are still surviving then it will end in a draw. You can also capture Comm-link, Spy Sat, Helipad and Radar Dish. Don’t ignore these secondary objectives as they help you out throughout the game. To simplify my overall experience to the game, it really brings back those memories where action-packed strategy are a thing and wargames can be fun too. Hopefully, progress for this game will not end and still gives the players something to look forward to in the future of gaming. – First ever MOBA/RTS Fusion! – Flexible maps/environments which you can utilize. – Unique objectives and goals to win. – Cool background music in sync with the game. – Items in the store are being replaced by upgrades and team buffs. No farming in-game, just pure strategy! – Seriously, who wouldn’t like tanks? – No In-game tutorials to begin with. – Can’t add friends yet. – Adding more colors on units and on the interface wouldn’t hurt.